Fans of the Alice in Wonderland series may recall a famous quote from Lewis Carroll’s Through The Looking-Glass. In it, the Red Queen remarks, "Now, here, you see, it takes all the running you can do, to keep in the same place. If you want to get somewhere else, you must run at least twice as fast as that!" I have certainly felt like an inhabitant of the Red Queen’s world, working feverishly and getting nowhere fast. In those moments, it’s like I’m suspended, even as I take aggressive action to move a project forward. Often, I have felt like the world was conspiring against me, impeding my progress and laughing at my vain attempts to find my footing. While talking to friends recently, I realized these sorts of ruts are common. Many of us feel stuck and are unsure how to get off the dreaded treadmill and find our productivity. Fortunately, there are remedies for these moments. Here are a few of my best tips and tactics to regain momentum and clarity. 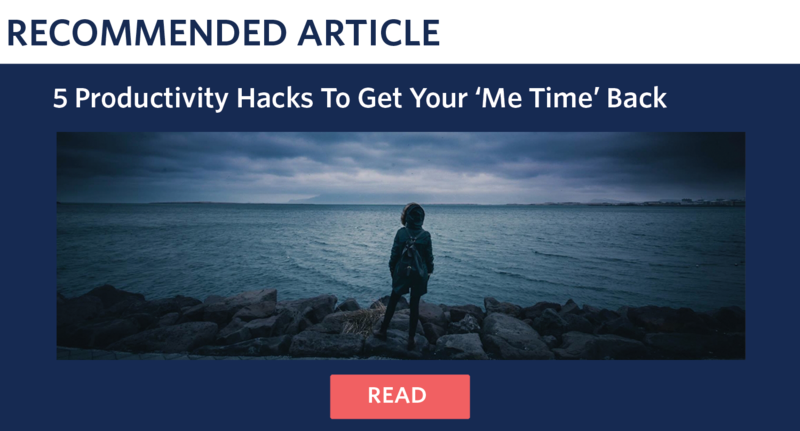 This may seem counter-intuitive; If you need to be productive, why would you step away or take a break? But disconnecting from your typical routine actually allows you to gain new clarity and be more productive in the long run. If you let your mind relax, it will be better prepared to perform best when you need it most. Make space for yourself to process and reflect. Spend some time away from your phone. Relax outside at a nearby park or beach. Take the time to journal and meditate. Declutter your headspace by unsubscribing from unnecessary emails and refraining from consuming exorbitant amounts of content. Your mind will thank you for the break and reward you with new ideas and energy. Next, set aside some time to think deeply and strategize. Figure out what your end goal is. Are you looking for a new job in a specific field? Are you seeking new clients? Are you aiming for a promotion? Articulating the key outcome you hope to achieve makes it easier to focus your efforts. Write down your goal and brainstorm three new ideas for achieving it. Remember, no idea is a bad idea in this phase. Your objective is to think freely and unconventionally. For instance, maybe you’re trying to freelance and you’ve spent the past several months focusing on building your website without any success in attracting business. If creating new content is your number one goal, perhaps it’s time to think differently. Maybe you can go out and actively pitch new clients instead of obsessing over branding yourself with the perfect site. Ask yourself: What is most important to me? What haven’t I tried yet? 3. Take daily action – even if it’s not work-related. Make it a point to take action towards accomplishing your goal every single day. This action does not need to be big, in fact, it’s better if it’s not. What little tasks can you do each day, for the next 30 days, to accelerate your progress? If you’re sick of living a cluttered life, for example, you could identify 30 small cleaning goals for each day of the next month. On day one, maybe you’ll organize the kitchen cabinets; on day two, you’ll clean out the fridge; and on day three, you’ll finish any other cleaning and dusting the kitchen space needs. You’ll repeat this with all of the spaces in your home until it is clean. It can be rewarding and energizing to get rid of all those things that no longer have a place in your life. 4. Celebrate the little wins every day. Make it a point to celebrate one win each day. Some days I mention how many pitches I sent out or how many contacts I found. Every day, I write down and hang up my accomplishments to build a (literal!) wall of positive encouragement and feedback around me. Seeing that wall grow is inspiring and keeps me motivated. Take a close look at your schedule. Are you able to budget in time for self-care, reflection, and daily action with everything else you have going on? If you aren’t, maybe it’s time to re-prioritize. If you are determined to get a new job, perhaps you can set aside an hour each morning for an application. If your health is really important for you, you may want to build meal-prep and gym time into your calendar. If you want to create new content and write after work, maybe you have to give up your weekly happy hour. By completing this exercise, you’ll get a clearer picture of where you do and do not want to spend your time. This will make it easier for you to commit to important tasks and avoid engagements that don’t serve [you].